Bayer 04 Leverkusen's Benjamin Henrichs impressive start to the season has made him a popular choice during the Fantasy Upgrade! At some point or other, most Bundesliga coaches and sporting directors have probably secretly dreamed of being able to sell their entire squad in the middle of the season and put together a completely new side. While that may be impossible in real life, there are currently so such limitations in Official Fantasy Bundesliga thanks to the Fantasy Upgrade during the international break. Thousands of you have already made the most of the chance to make unlimited transfers. You still have up until kick-off between Borussia Dortmund and Hertha Berlin in the Matchday 7 opener on Friday to keep tinkering at will. The most popular signings during the Fantasy Upgrade period have been two FC Bayern München stars: Robert Lewandowski and Manuel Neuer. That is perhaps no great shock, as they are among the trio of irreplaceables our experts highlighted. 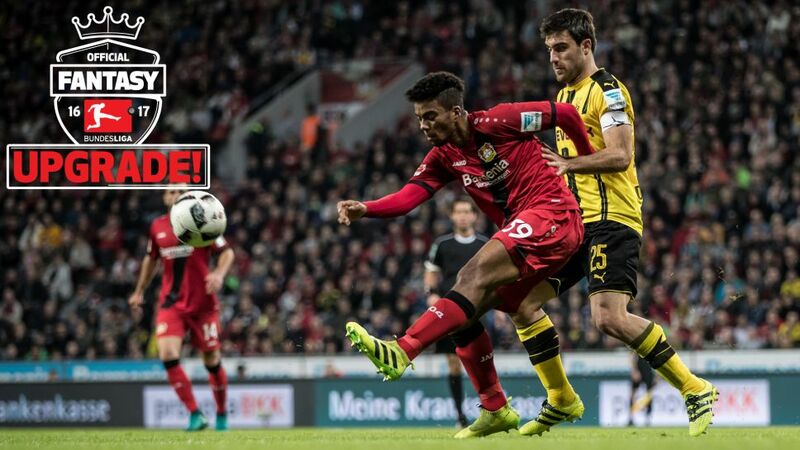 The third most sought-after player was more of a surprise: Bayer 04 Leverkusen's Benjamin Henrichs. The versatile youngster, who has been converted into a reliable full-back by coach Roger Schmidt, is a bargain at just 5.5m but has already accrued a whopping 47 fantasy points. Strikers Pierre-Emerick Aubameyang and Javier 'Chicharito' Hernandez round off the top five signings, followed by another of the more surprising fantasy hits this term: FC Augsburg's Konstantinos Stafylidis. The Greek international's performances have convinced more users to draft him in than Raphael Guerreiro, Anthony Modeste, Franck Ribery and Vedad Ibisevic, who complete the top ten of the most signed players during the international break.